Rent online forms show the responsibilities and duties of both renters and owners. This is a legal document between the client “The Renter” and “MIGHTY MUNCHKINS PLAYZONE”, which affects your legal rights, so please read carefully. The Renter desires to rent from MIGHTY MUNCHKINS PLAYZONE equipment to be used by Renter, his/her guests, invites or other persons while in Renters possession. Renter understands that use of this soft play equipment may, by its nature, cause injury or harm to Renter, his/her guests, invites, or other persons. 1. Waiver and Release: Renter understands and acknowledges that this Release discharges MIGHTY MUNCHKINS PLAYZONE, from any liability or claim that the Renter may have against MIGHTY MUNCHKINS PLAYZONE with respect to any bodily injury, personal injury, illness, death or property damage that may result from Renters use and possession of MIGHTY MUNCHKINS PLAYZONE equipment. Renter does hereby release and forever discharge and hold harmless MIGHTY MUNCHKINS PLAYZONE and its successors and assigns from any and all liability claims, and demands of whatever kind or nature, either in law or in equity, which arise or may hereafter arise from Renters possession and use of MIGHTY MUNCHKINS PLAYZONE equipment. 2. Insurance: Renter understands that insurance for liability, health, and medical or disability coverage in any way related to the rental of equipment under this agreement is the sole responsibility of Renter. 3. Indemnification: Renter agrees that he/she will indemnify and hold MIGHTY MUNCHKINS PLAYZONE harmless from any liability resulting from the use of MIGHTY MUNCHKINS PLAYZONE equipment by Renter, his / hers assigns, heirs, guests, invites or other persons using the equipment while in Renter’s possession. 4. Other: Renter expressly agrees that this Release is intended to be as broad and inclusive as permitted by laws of the State of California and that this Release shall be governed by and interpreted in accordance with the laws of the State of California. Renter agrees that in the event that any clause or provision shall not otherwise affect the remaining provisions of this Release, which shall continue to be enforceable. By signing below I forfeit all rights to bring a suit against MIGHTY MUNCHKINS PLAYZONE AND AFFILIATES for any reason. In return, I will also make every effort to obey safety precautions as listed in writing and explained to me verbally, in efforts to keep the MIGHTY MUNCHKINS PLAYZONE experience positive, I have heard the safety rules and understand that I will ask for clarification when needed. • ​Children must be supervised by an adult (18 yr old)/parent/guardian while in play area. 1. 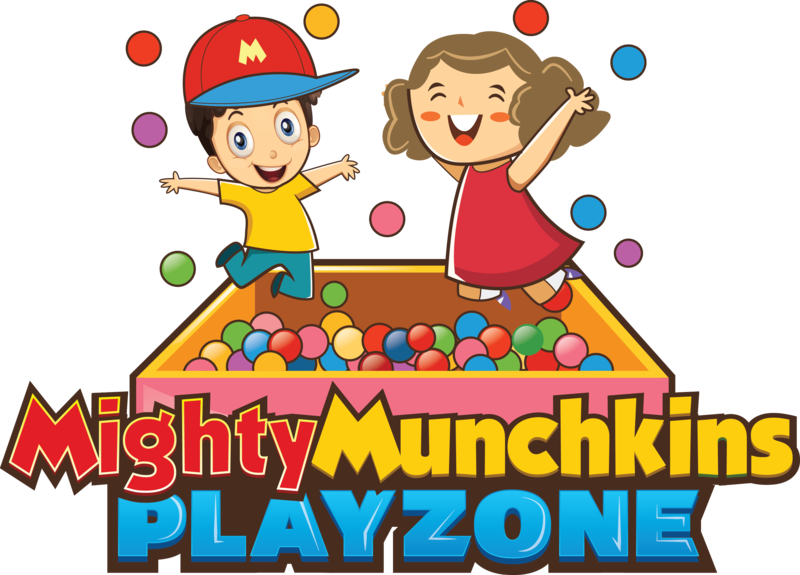 I am responsible for following the rules and safe procedures mentioned above by MIGHTY MUNCHKINS PLAYZONE in order to protect the equipment and provide a safe environment for me, my guests and any other people that can have access to MIGHTY MUNCHKINS PLAYZONE equipment while is in my possession. 2. I AGREE TO RELEASE, DEFEND, INDEMNIFY, NOT SUE AND HOLD HARMLESS TYPE MIGHTY MUNCHKINS PLAYZONE, their principals, officers, owners, employees, equipment manufacturers from any claims, damages, (including medical fees, attorney fees), injuries (including disabilities, paralysis and death) and expenses arising out of or resulting from my voluntary attendance/participation at MIGHTY MUNCHKINS PLAYZONE. 3. If the equipment is returned in an extremely dirty condition at the time of pick up I will be charge $50 cleaning fee, I must pay this within 5 days of the event. 4. If there is any damaged or stolen soft play equipment I will be charged at an appropriate amount, i.e. cost or repair or replacement. Driver License or ID Number * Please enter your answer here.